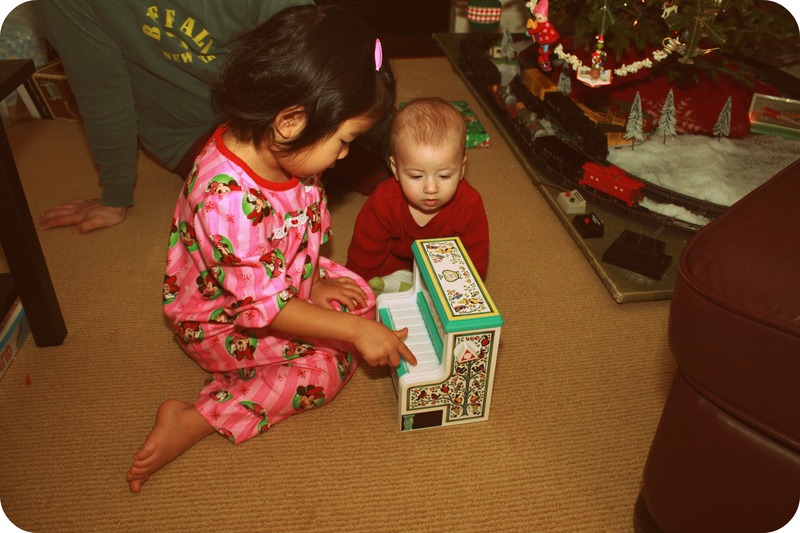 And this vintage re-make Fisher Price piano that Santa brought for Sam turned out to be Poppy's favorite part of Christmas. Both of them LOVE that thing. 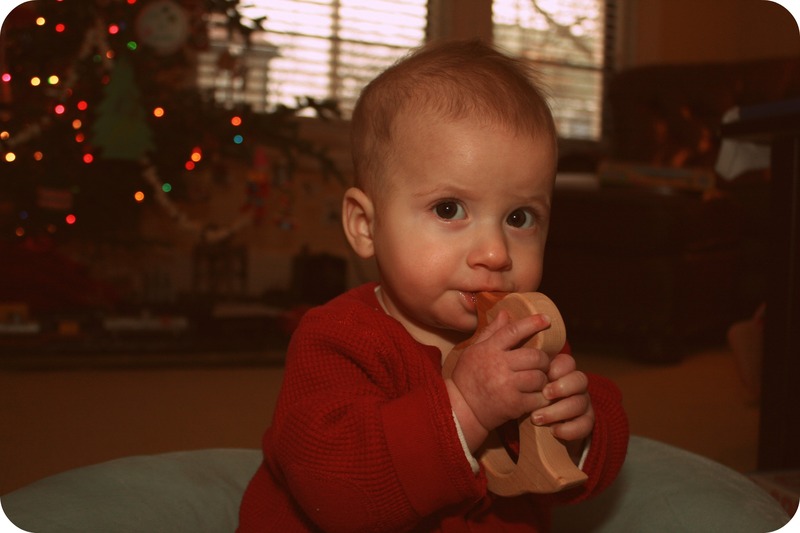 This wooden duck rattle was at the top of Sam's favorite things list. 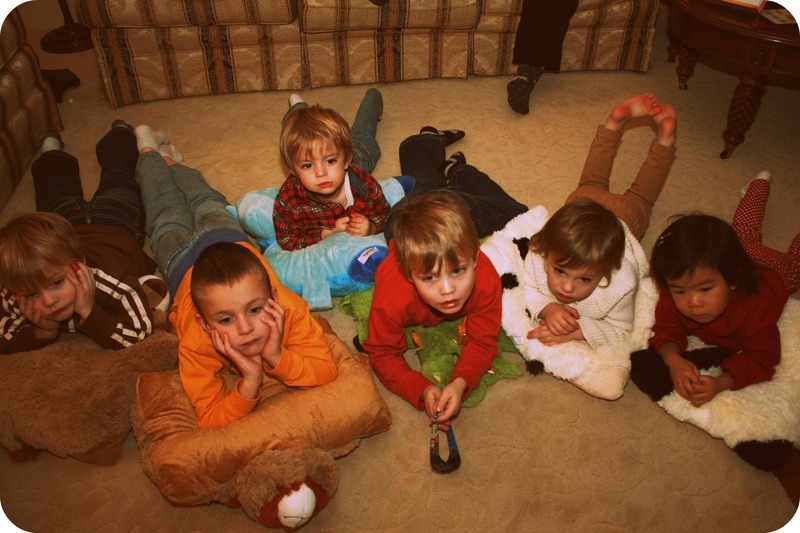 And this was the scene at the last party we were all at on the day after Christmas, right after each kid happily received a pillow pet. Love this picture! And be warned - Marc got a flip video camera from Santa, so expect to see a ton of videos from now on! That piano is so super awesome, I can't even stand it! And the fact that Marc got teary when you couldn't find Poppy's wish toys... sigh. I would be the same way! Thank goodness for Amazon!!! Amazon rules! As Elizabeth I declared on FB, we have an addiction. Would you like to join our AA group? Wow, glad it all came together. How did we live before Amazon? Those smiles were worth all of the stress and uncertainty I'm sure. So much awesomeness! And, please... bring on the video!!!! 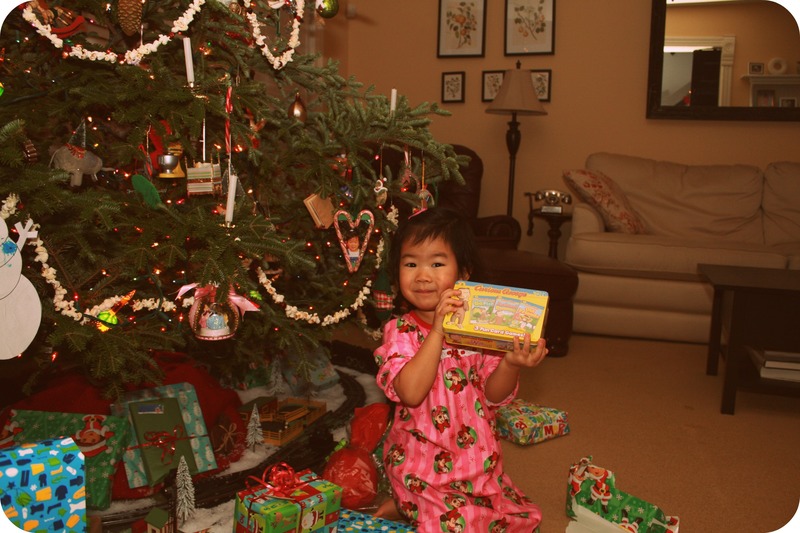 So glad Santa found those cards! Even the big guy uses modern technology. And yes - that piano rocks! The piano! I was in that meeting when they were discussing bringing it back! And did you see the vintage milk cartons and record player too? Love those items. And how did the pillow pals go over? I saw those things EVERYWHERE and just assumed B would get one so I refrained from purchasing it. He didn't though! What a great Christmas!!! While I still think Sam looks a lot like Marc, I am starting to see a little bit of your family in him!!!! 'tis the season for super fun stuff!